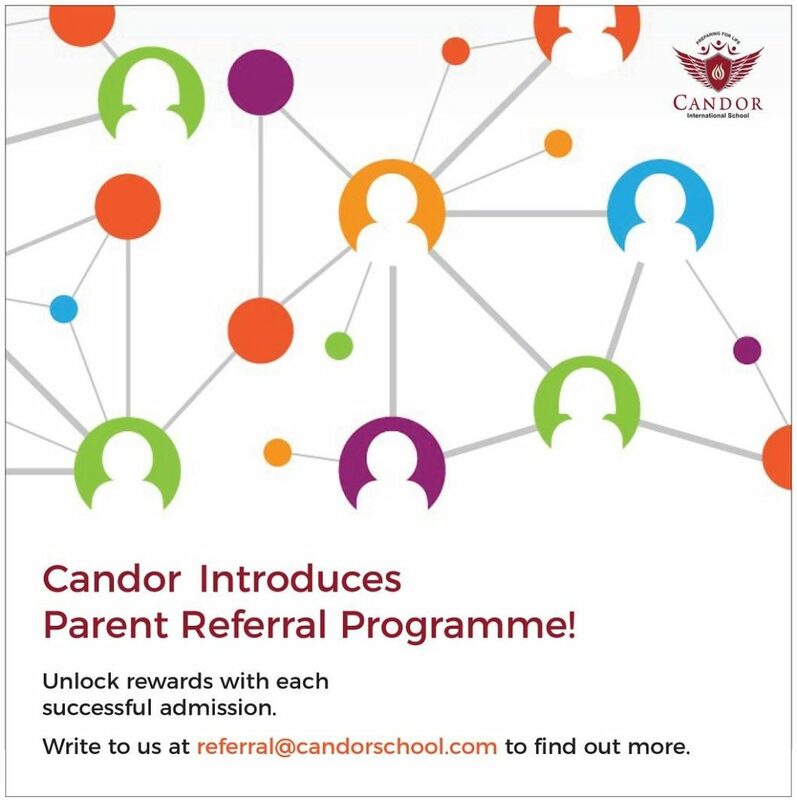 Candor International School, Bangalore has been making many efforts to create a safe and happy learning environment for our students. It is encouraging that we have received appreciation of the same from many of you. As a gesture of our appreciation we are now introducing a parent referral programme, whereby existing parents can refer other parents and receive a reward once the referred parent’s ward is enrolled. Every successful referral will be entitled to receive INR 10,000 reward.